Two of the most popular materials in making engagement rings are Gold and Platinum. But what’s really the difference between these two and which is suitable for you? Gold is a precious metal used for coinage, jewellery, electronics and other industries since its discovery. However, because of the softness of pure (24kt) gold, it is usually alloyed with other metals to make it durable for jewellery. Gold comes in 24kt, 22kt, 18kt, 14kt and so on.. As opposed to Carat (Ct) which refers to the weight of the diamond, Karat (Kt) refers to the purity of the gold. Let’s say for example an 18kt white gold - it is made by mixing 75% (750 parts per thousand) gold with 25% (250 parts per thousand) of other metals such as silver and palladium while 18kt yellow gold is made by mixing 75% gold with 25% other metals such as copper and zinc. So the amount of gold is the same but the alloy is different, and these alloys can modify the gold’s hardness, ductility, color and other properties. Nickel was commonly used in white gold, however, it is found to cause skin reactions hence, we never use this alloy. 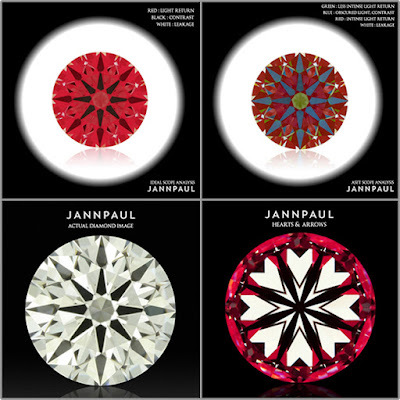 For all JannPaul white gold jewelleries, we guarantee that it is hypoallergenic. Platinum on the other hand is used in jewelry, in almost its pure form (usually as a 90–95% pure platinum and 10-15% alloy). It is frequently mixed with similar metals or non-precious base metals. 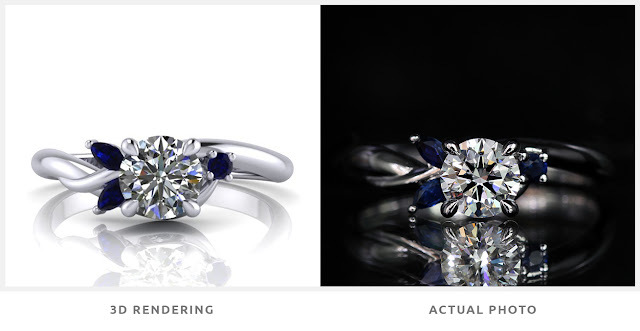 In general, the higher the percentage of pure platinum, the higher the value of the jewelry will be. 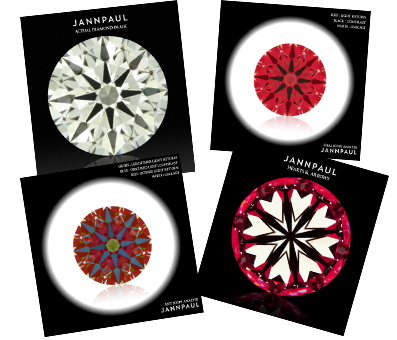 In JannPaul, we offer 95% pure Platinum (also known as Pt950). Metals like palladium have a bleaching effect that gives gold a white-ish result depending on the exact formulation. To make the white gold even whiter, rings are rhodium plated. Platinum, on the other hand, is extremely long wearing and is very white, so it does not need to be rhodium plated like white gold does. Platinum is much denser than white gold. Hence, a platinum ring would feel more substantial and luxurious to some. Depending on personal preference, some ladies will still go for the light-weight material for comfortability measures on a daily wear. The hardness of a substance refers to its resistance to be scratched by another material, while malleability is the ability of metal to be moulded, shaped or bent without breaking. While it’s true that pure gold is softer than platinum, an 18kt gold alloyed with other metals makes it harder than of a Platinum (Pt 950). So despite being denser, platinum can get scratched a little easier than 18kt gold does. It is however less malleable, which makes it difficult to bend out of shape, gripping the diamond more securely in its place over the course of time. Moreover, an important thing to note is that scratching platinum does not mean material lost; instead it’s purely metal displacement, developing patina finish over time which gives the ring a more antique look. (So if you’re a fan of vintage designs this is something you can consider).18kt gold ring on the other hand is harder to scratch, but when it does, it’s a tad bit more obvious as the top layer of the gold is lost and it will leave a mark. But don’t worry! 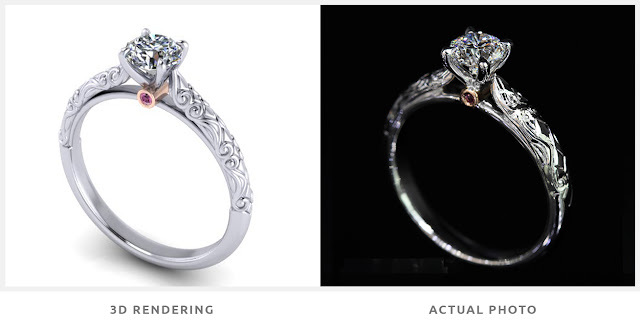 We can still restore the ring close to its original appearance after re-polishing and re-plating. While white gold and platinum looks very similar, over time white gold will oxidize and its rhodium plating will wear off and fade to a yellowish tinge. Platinum on the other hand, which is naturally white, will not fade to yellow. Nevertheless, once you re-polish and re-plate the white gold ring, it will look white again. For more about our after sales services, click here. 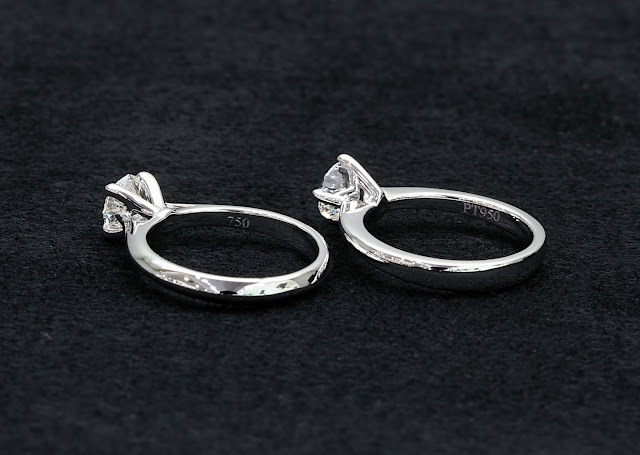 An important thing to note is that white gold is more widely used than platinum; hence more jewellers are able to resize and repair this type of jewelry. Since platinum used in jewelries are purer, in order to achieve the same design made in 18kt white gold, more material weight of platinum will be required. To add on to that, platinum is trickier to work with, hence labour cost will be more. This results in platinum being significantly more expensive than gold. With all other things being the same, a platinum ring will be approximately twice the price of an 18k white gold ring. Both Platinum and White Gold are great metals, It will still boil down to your individual preferences and budget. Imagine yourself going out with a friend who's on the search for his proposal ring and YOU ended up finding out the ring destined to be yours? Let's find out the story behind this destiny ring. I had the opportunity to meet Joel and Wilson and shared with them the important tips of choosing a high performing diamond. Wilson was accompanying his friend Joel, who was intending to purchase an engagement ring. After our 2hrs session, Wilson was inspired and decided that it was time for him to get a proposal ring too! So he turned up to be the one choosing his diamond and started the process of creating the ideal proposal ring for his partner. We managed to source a suitable diamond for Joel a month later. Both Wilson and Joel opted to customize their own unique ring design and decided to blend in their partner’s favorite gem stones! 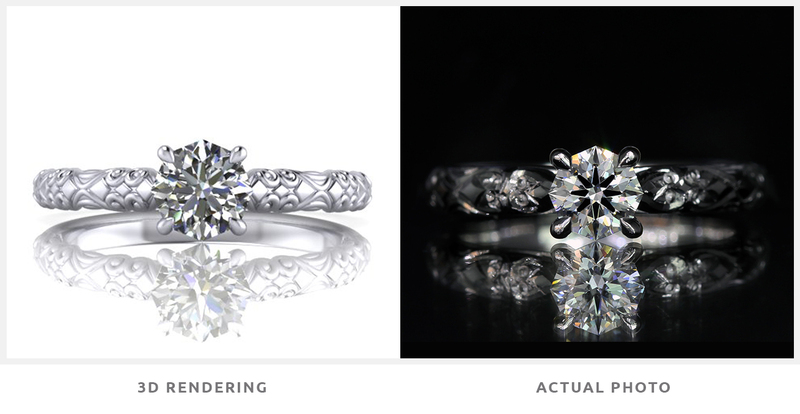 Here are the 3D images which were used to craft their rings! Wilson’s Ring is a Super Ideal Cut in an 18kt white gold curved customize ring with blue sapphire (which represents their anniversary stone). It twirls like vines which gives a more nature inspired setting. Joel’s ring is an Octagon Brilliant in a customized carving 18kt white gold with a ruby. Each carved filigree is individually handcrafted to give a long lasting design that represents an endless relationship. "We don't meet people by accident, they are meant to cross our path for a reason"
We're excited to reveal this new ring design that we've handcrafted! 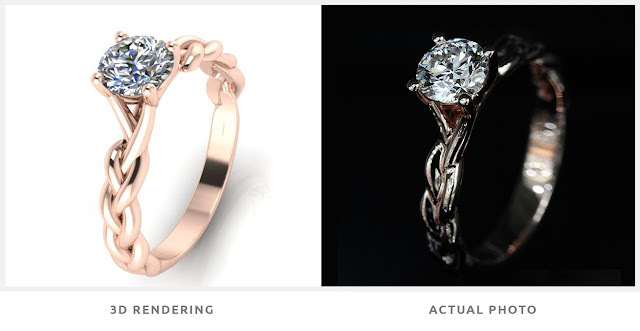 It's a customized 18kt rose gold intertwined ring with intricate rope twists. The weaving designs on the band stretches and connects to the prong head, creating a cathedral effect. The prong head is kept clean and simple, without any obstructions to the main diamond. This allows you to see the complete side profile view of your rock. Check it out as we unbox the ring in the video below! 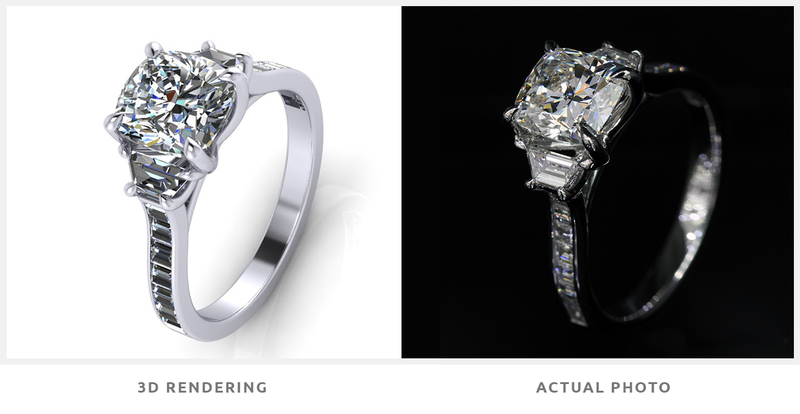 Showcasing the precision of our 3d renders, below is a side by side comparison of our 3d renders next to the actual ring. All of our customized ring designs comes with these 3d renders, where you can personalize it to your style. For more ring unboxing videos, check out our Youtube Channel. For this ring unboxing video, we customized a ring design with 2 trapezoid side diamonds with asscher cut melee diamonds on the band. The trapezoid and asscher cut diamonds are both step-cut diamonds but in different shapes. It complements the centre cushion brilliant diamond, giving the ring a majestic and victorian flair. For all of our custom ring designs, it comes with 3d renders to help visualize your end product. Using a Sarin scanner, we laser scan your diamond into our software where our program will capture its dimensions. 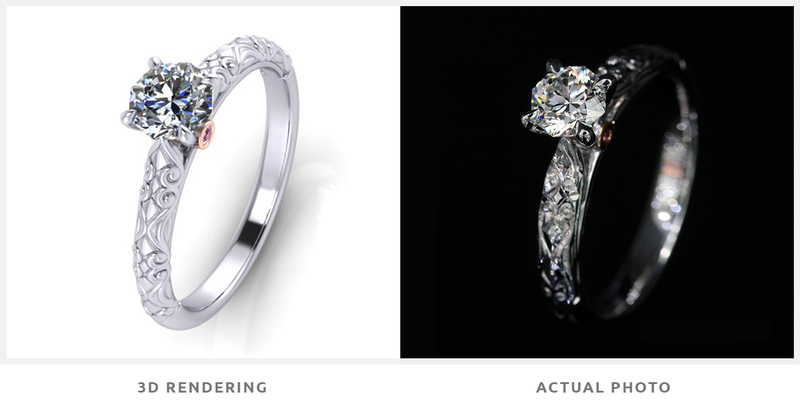 From there, we would design your ring to the same proportions and turn your dream ring into a reality! Here at the shop it's a daily routine to meet guys looking for diamond rings and seeking to get some advice on customization. One Friday afternoon in January was no different. That afternoon, having some available slots, we accepted a walk in client looking for a diamond ring and as usual routine, I have done the full 1hr+ diamond education session. That was where I had the opportunity to assist Sebastien, who had his eyes on a Super Ideal Cut. He wanted to customize his ring's band design to resemble a flower with 2 small butterfly-like designs that are studded with smaller melee diamonds. 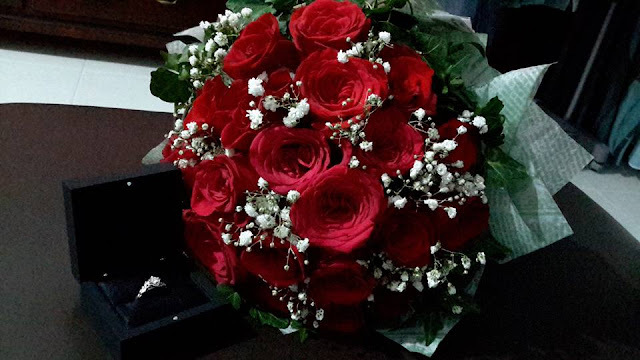 He shared with me how Rita loved nature so much, hence, he want to give her a flower-like design. After everything was settled comes the bigger question..
Me: "When would you need the ring by? Are you looking to propose at any specific date?" And an unexpected answer was heard.. It's easy to fall in love, the challenge is to make her fall in love with you all over again every single day. Salute to all the husbands who go extra mile to surprise their wives even after years of being together. Who said that diamonds should only come before the wedding? Every lady deserves one! Remember to check your diamond's inscription number! So you've shortlisted a diamond and analyzed it under the scopes. You like what you see and everything looks perfect under the scopes, and you're just about to place a deposit for it. But how do you know that this is really the diamond you're buying? Could it be a 'sample' diamond? Or how I know that when I'm collecting my ring, will it be the same diamond? This is what the diamond's laser inscription number is for! Each certified diamond will have a laser inscription number that is inscribed on its girdle (edge). It is a unique serial number that is assigned to your diamond. The serial number would tally to its certificate. This is how you can verify if this diamond tallys with its original certificate. 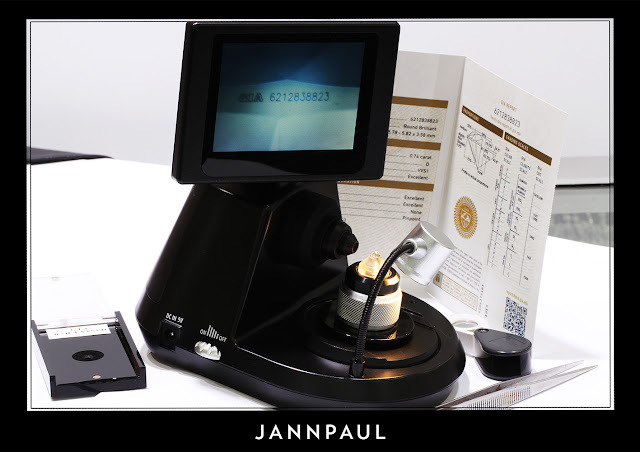 In JannPaul, upon purchasing and collection, we use a 40x magnification equipment to show you your diamond's inscription number. This is then tallied with its certificate. You may also download or verify the softcopy of your GIA or AGS certificate online at, GIA's website or AGS's website. After you've shortlisted and analyzed your diamond under the scopes, it is absolutely necessary to check it's laser inscription number to match its certificate. Here are some easy steps to follow. Ensure the GIA certificate you're viewing is the original certificate and not a printed or photocopied version. Before confirming your purchase, check your diamond's inscription number to match with its original certificate. After your ring has been crafted and ready for collection, check its inscription number again to match its certificate. For future servicing, such as re-sizing, re-polishing, etc. don't forget to check its inscription number again. 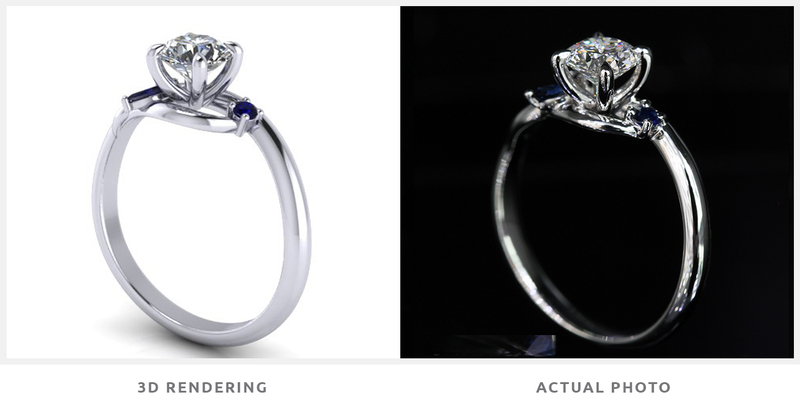 In summary, always check your diamond's inscription number before, during and after your purchase! Congratulations to Jermyn and Sichyi! 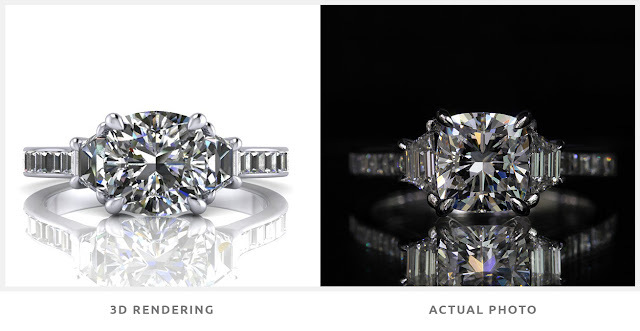 Like most other guys looking for a diamond ring, Jermyn schedule an appointment with us not knowing what to expect. He got to know about us through his friends recommendations and I got the opportunity to assist him. So the diamond education went on as how it should be and at the end of the session, he decided on the Super Ideal Cut diamond to be set in an 18k white gold twist band design with side diamonds (which he already had in mind before the appointment). After some chit chatting and stuff, this was where he shared with me his plan to propose next year and how early his prepping up. He mentioned that he was looking to propose sometime NEXT YEAR! No harm getting it EARLIER right? haha! Fast forward 2 months, the engagement ring was ready for collection so he dropped by and collected it. 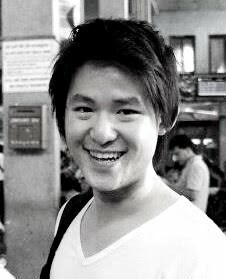 On D-day, Jermyn & his friend dropped by again but this time round with Jermyn’s love, Sichyi. The plan was to use his friend as a distraction so that she won’t be suspicious of what is going to happen next… After their visit, they headed to their friend's clother store where he prepped out the proposal. So they came back to the store to resize their ring and the first thing Sichyi said to me was, “You good! You lie to me~” hahahha! It was all worth it though. It’s moments like this that gives me a sense of satisfaction in my work. Being able to be part of someone’s proposal journey is indeed fulfilling. A proposal doesn’t have to be elaborate, nor does one have to spend alot. It’s always the thought and effort that count. Something that she will cherish for a lifetime. 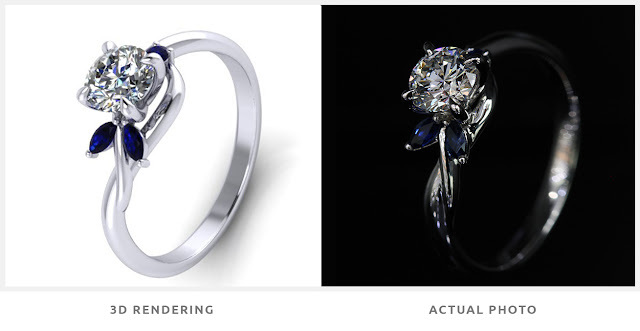 Ring designs with a twist of inspriation! 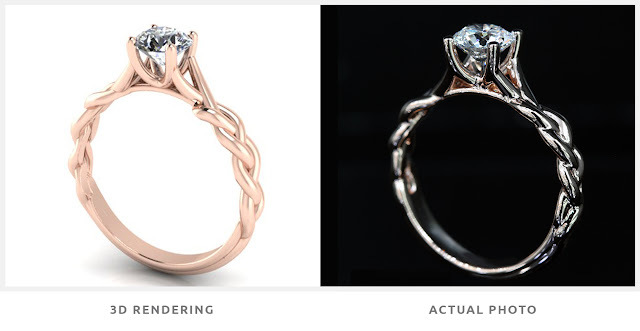 Thinking of adding a twist design to your ring? Check out some of these ring designs to inspire you! 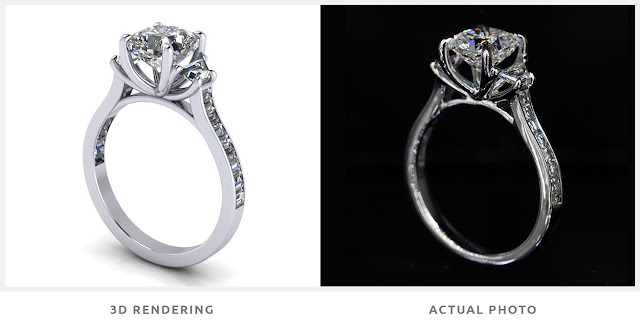 Our ring customizations comes with 3D renders, where we will create your ring design proportional to your main diamond size and ring finger. We can even render out a hand model to be the same size as yours to help you visualize how your ring design will look on your hand! When most people thing of twist design rings, they think of a simple curved band with a twist, and that's all to it. However, there are many variations of twist designs out there and there are ways you can customize it to your personality! Below are some twist design 3D renders for you to explore. This is a double band twist design, where each band has a rope twist effect. It gives an organic and lacy feel to the ring, and have lots of fine detailing. Girls that love whimsical designs will fall in love with this at first sight! A variation of the earlier ring, with some melee diamonds on one of the band. 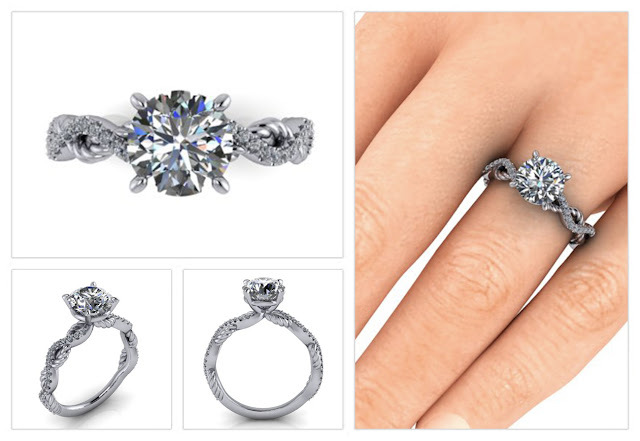 This gives an extra bling to your ring and will be a head turner. There are many ways to spice up your ring design by adding melee diamonds on certain areas. Another option is to add diamonds on tray of the prong head. Want something cleaner? This is a gorguous wavy twist design that will bring out your diamond! It has a smooth cross over near the upper mid-section of the band. The melee diamonds are set in a channel style to give the ring a cleaner look. Overall, the band creates an infinity symbol ∞, adding more meaning to your ring. This is definitely one of my favourites! It has assyemtrical curves on the band, which looks like sea waves! I love the intricate detailing on this and it showcases our fine workmanship vey well. 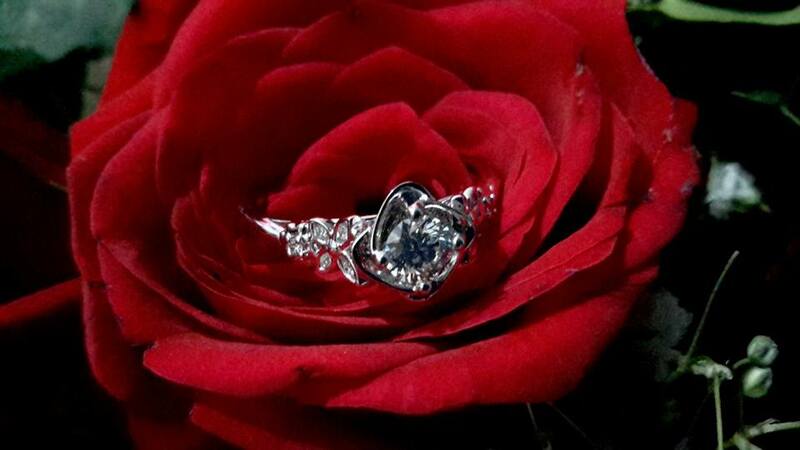 If you notice, even the prongs that is holding the main diamond has the wave effect. The diamond is set on a cathedral setting, where there are 2 triangle arches giving the appearance that the diamond sits higher. Want both bands with side diamonds? No problem! We are able to customize a double band twist with channel set diamonds. 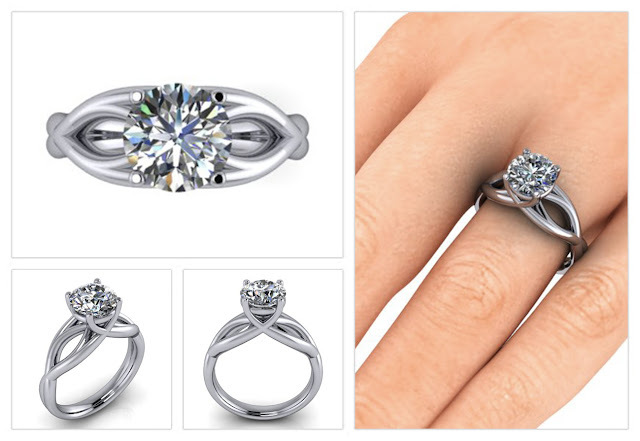 This is slightly different from regular twist designs as the band curves at the end towards the diamond. This gives a lacy bow effect and from the top view, it creates a beutiful silhoutte of your ring. 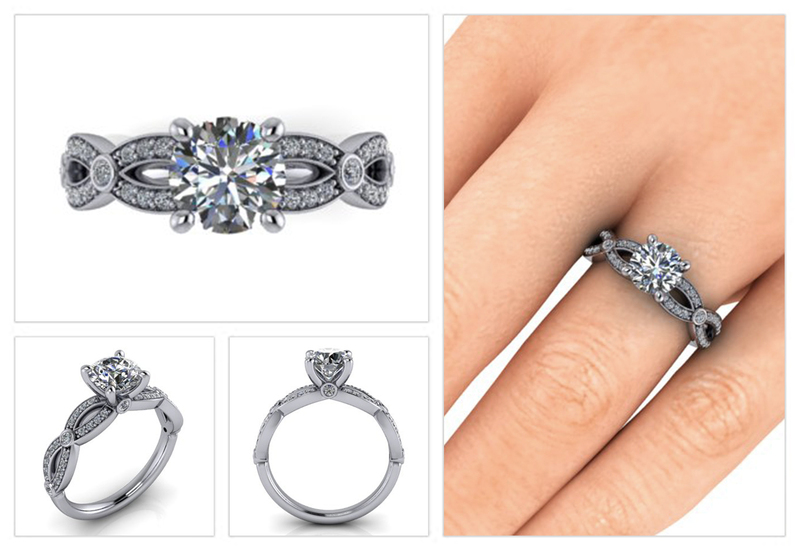 This ring design has a victorian flair to it. The band looks knotted by strategically placing a bezel melee diamond on each of the cross over section. 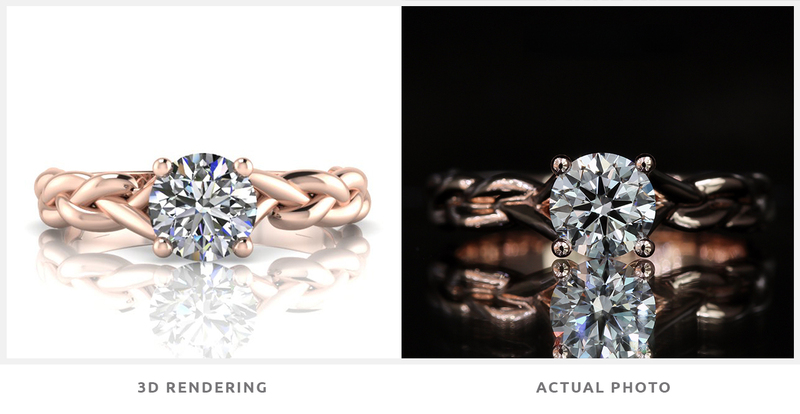 If you want to bring it out even more, we can have the circumference of the bezel done in rose gold! On the side profile, you'll find another melee diamond (tubeto) under the main diamond. Add more personality to this by changing it to a gemstone or bithstone of your choice. Fancy a bigger ring with larger proportions? This might be the one for you. 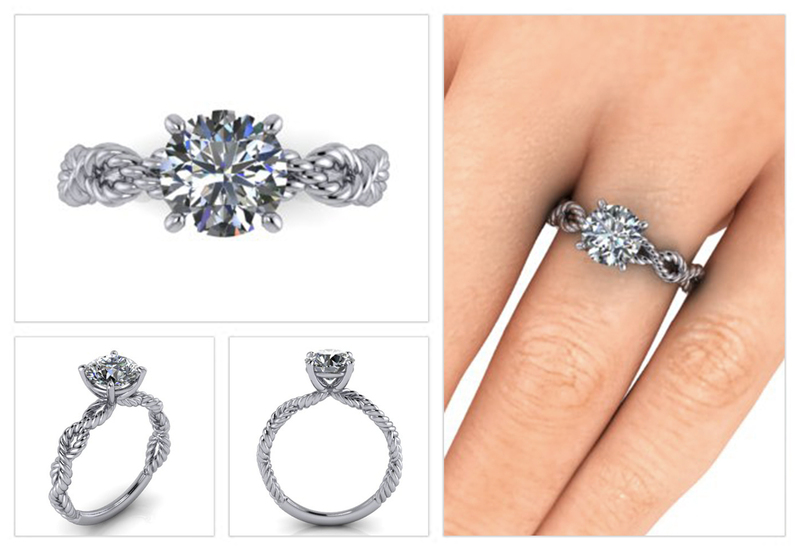 There are many intertwined twists that gradually moves up towards your main diamond. 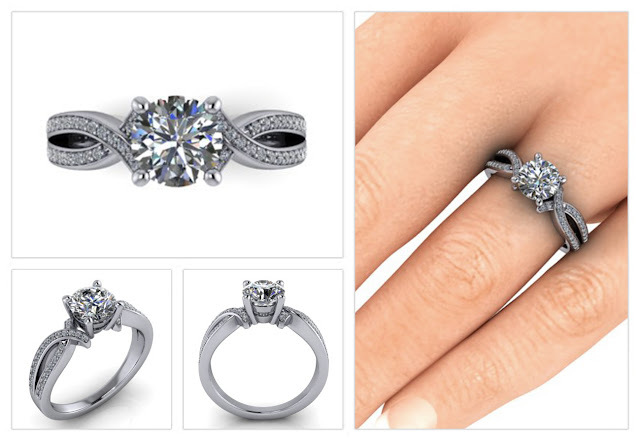 Although this ring has a broader width, the smooth and elegantly twisted bands gives the ring a soft and feminine feel. 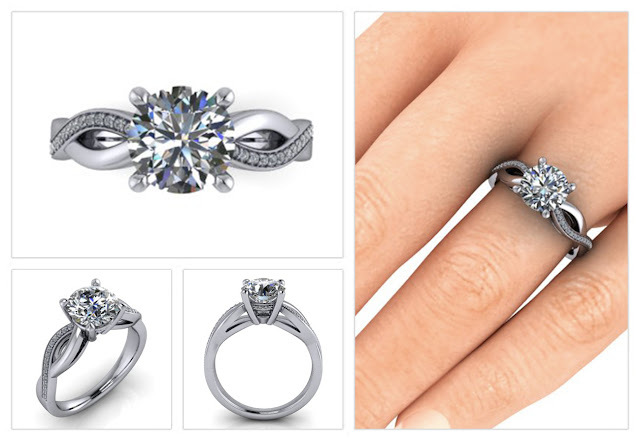 You may customize this ring further by changing the prong tips to heart shapes! 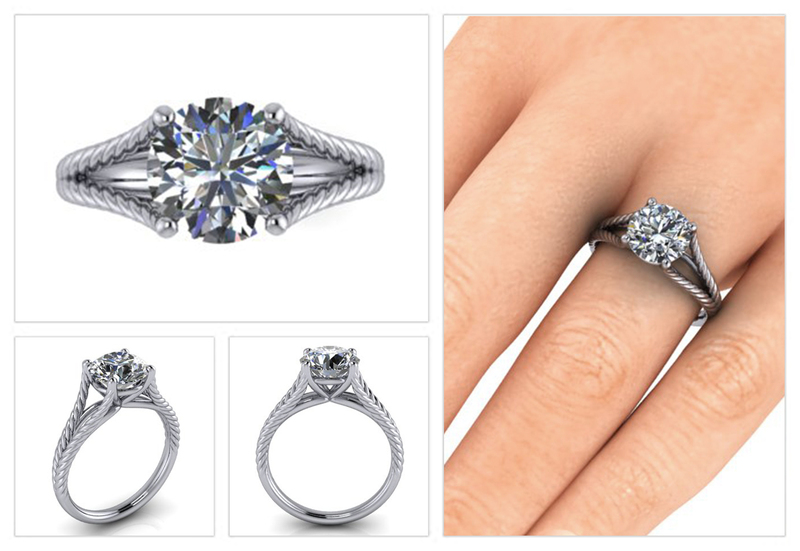 A double band rope twist ring that tapers from thin to thick towards the main diamond. This gradual accentuating effect will draw everyone's attention to your main diamond and will highlight your diamond's size. A perfect design for every day wearing and to glamourous events! With a backdrop set against a breath-taking Singapore skyline, Salt Grill & Sky Bar offers a romantic atmosphere more than you can ask for to make it a memorable proposal. Be sure to make an advance reservation to secure a table near the window. 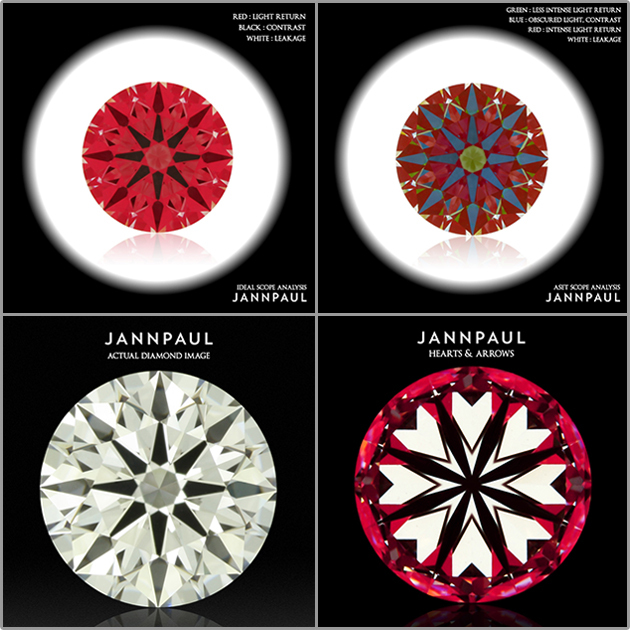 With all the above, your JannPaul Proposal ring pretty much seals it. 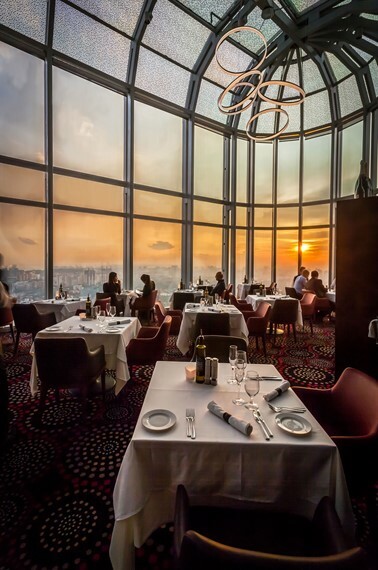 The restaurant offers romantics a “WOW” package that is priced at $95++. It comes with a table by the window, a long-stemmed rose, cake, 2 glasses of cocktails, a keepsake photo and more. Do note, this package does not include food and it will be a top up on top of your food order. In addition, they require a 3 days advance notice. 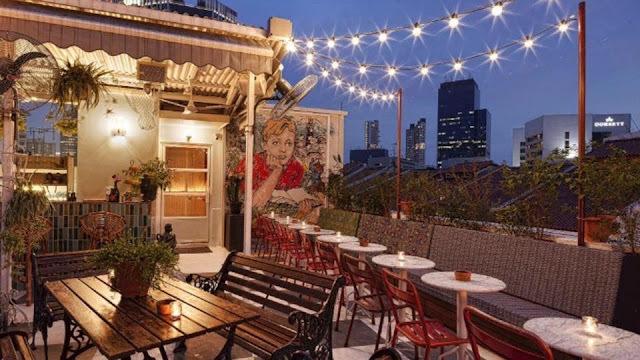 One of my favourite rooftop restaurant and bar, the Potato Head Folks is a relaxing and chill place. If you and your partner take delight to be away from the hustle and bustle of the city, this is the kind of place for you. The place is very casual and they whip out the best burgers. It’s an open top bar, so do check the weather forecast in case it rains. 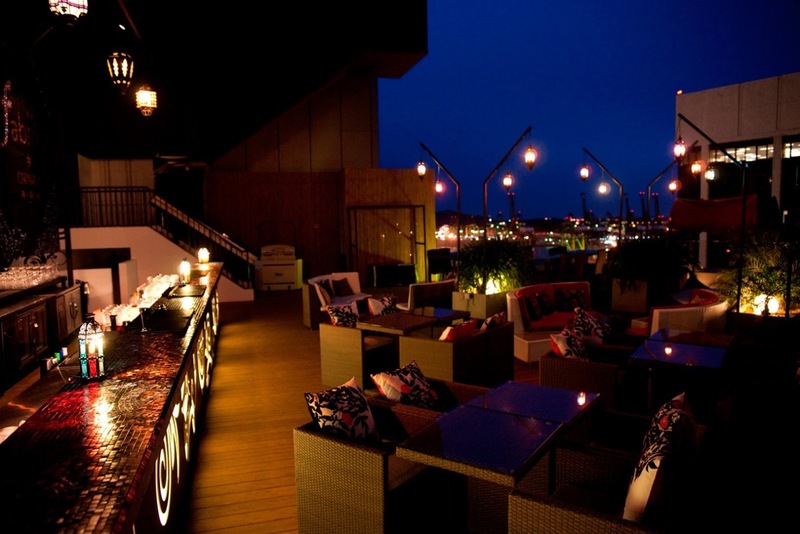 The rooftop bar makes an ideal place for a proposal to take place if casual makes it special for her. 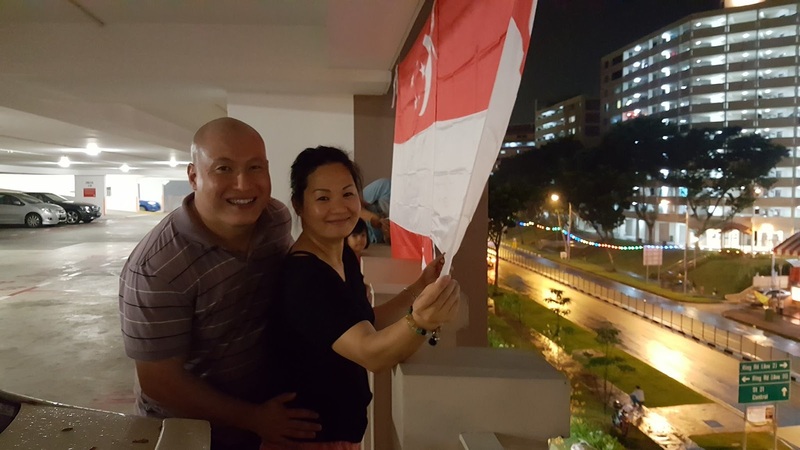 If you and your partner appreciate a nice view overlooking the Marina bay sands and Esplanade, this may be the perfect place for your proposal. This new stylish bar which sits atop of the National Gallery has a breath taking view. They serve some awesome signature cocktails under the well-lit night, which will make you feel relaxed and will set the mood right for you. What’s a bar without bar food? Smoke and Mirrors impresses me with its bar food that compliments the cocktails. The Tender Beef Rib Cubes is a must. Don't get me wrong, but there’s more in the cocktail menu than you can ask for. Just make sure you don't get her tipsy before she say yes. 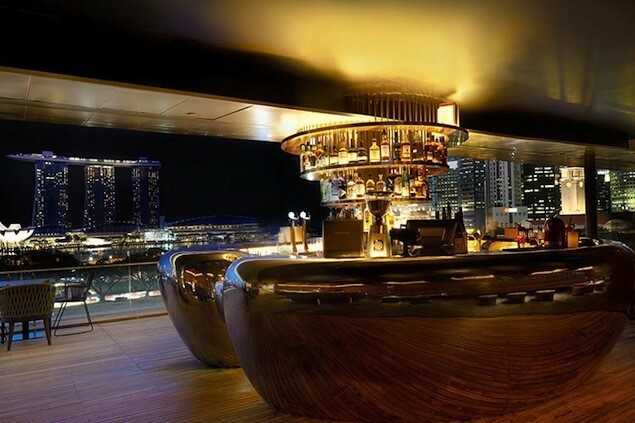 Note: For the best view of the Marina bay sands and Esplanade, be sure to make an early reservations for table near to the side of the bar. Fabrika is at Klapsons, the Boutique Hotel on the 17th Level, smack right in the central business district . Once you step into this open air concept bar, a fun and romantic ambience welcomes you and your partner. Shimmering with colourful lamps and candles, every moment seems right for her to say “I DO” when you bring out your dazzling diamond ring. Book a hotel suite with a Jacuzzi bathtub and balcony if you want to share more private moments with your partner. A lavish bar for a start. You get panoramic views of the Marina Bay waterfront. Located by the Fullerton Bay Hotel poolside. The ambience is chill but chic with the DJ spinning sensual beats of house music in the background. If you're planning a stage proposal infront of her friends and family, this might be the place for you.